For rights’ sake, we can’t show you all of the written work, but to view the visual works from the show and read the work that was previously published online, take a look at the public PDF document: Art & Words 2014 — public document. It also has links to the writers’ websites. 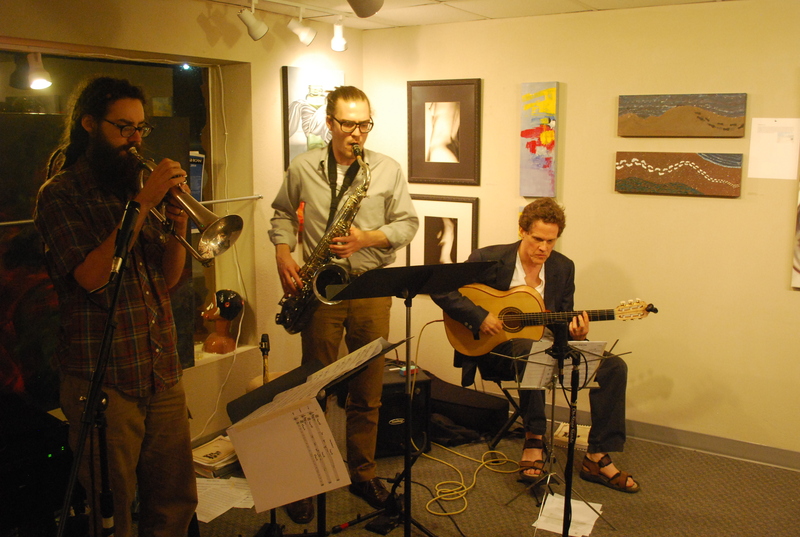 At the reception, a live jazz band (Peter Brewer, Jake Dester, and Bruce Bond) also performed three literary-written collaborative compositions. It was a great night. There’s an article in the March/April Poets & Writers Magazine about my Art & Words Show; they interviewed me for the article and put it the mention together as part of their News and Trends section. 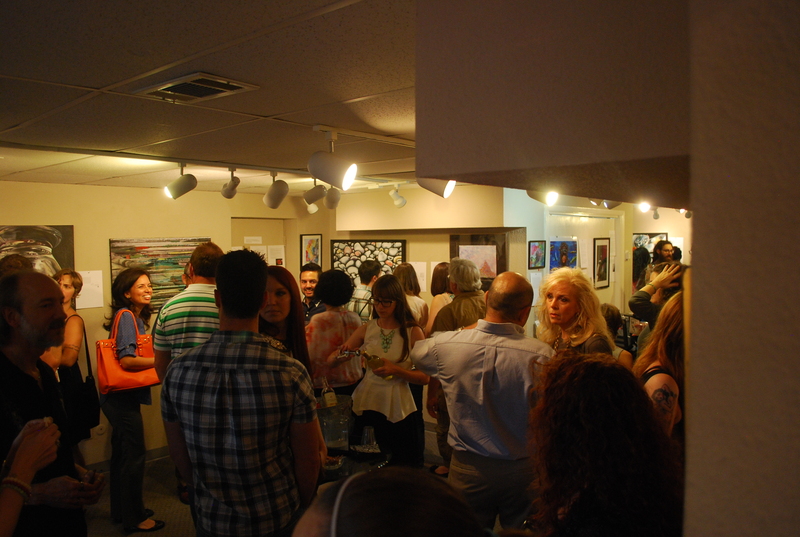 Check it out: http://www.pw.org/content/arts_words_inspires_writers_artists! Submissions for the show open March 1st. I receive a lot of fiction but am always in need of more poetry, so if please pass the word on to any poets you may know.